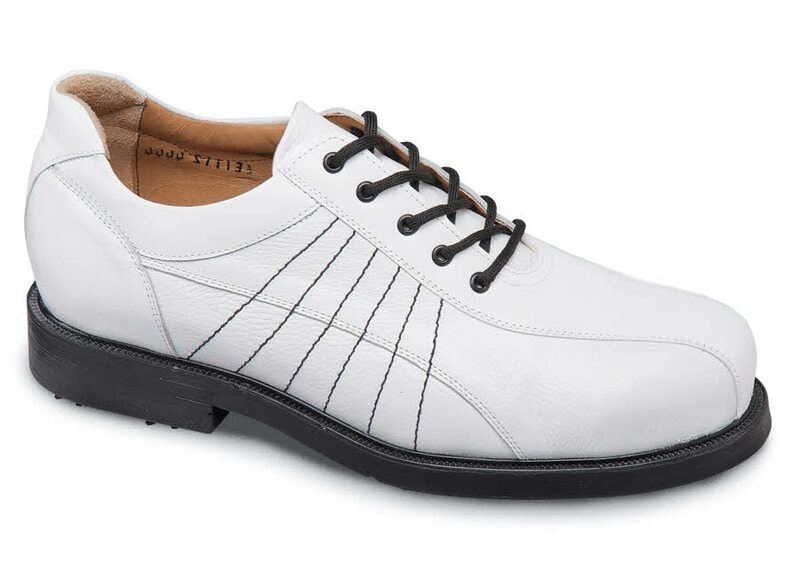 The white 2411 Hitchcock golf shoe has a sporty U-throat design with distinctive side stitching for a contemporary look. 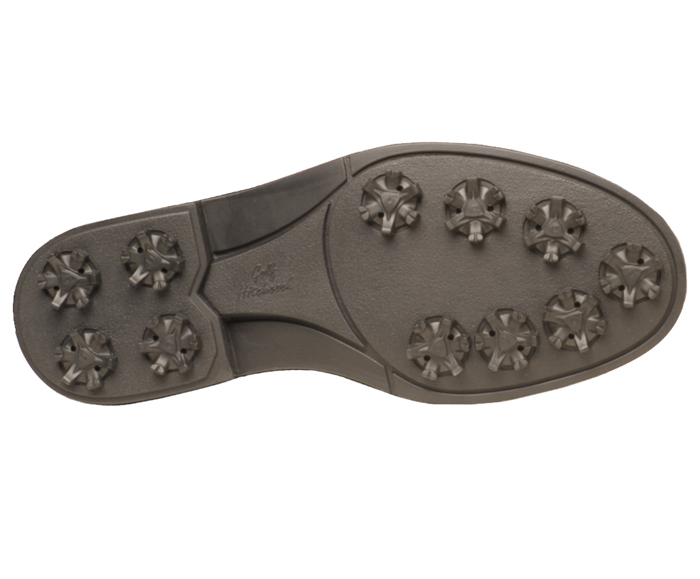 Their highly water-resistant leather uppers permanently bonded to our exclusive lightweight Hitchcock golf sole fitted with Champ ScorpionSpikes™. Full leather linings add to your comfort. Made on the roomy Driver last in men's sizes 7–12, 13 in 4E and 6E width.